All the below features of Core Plus Template makes it powerful template among all of the templates. 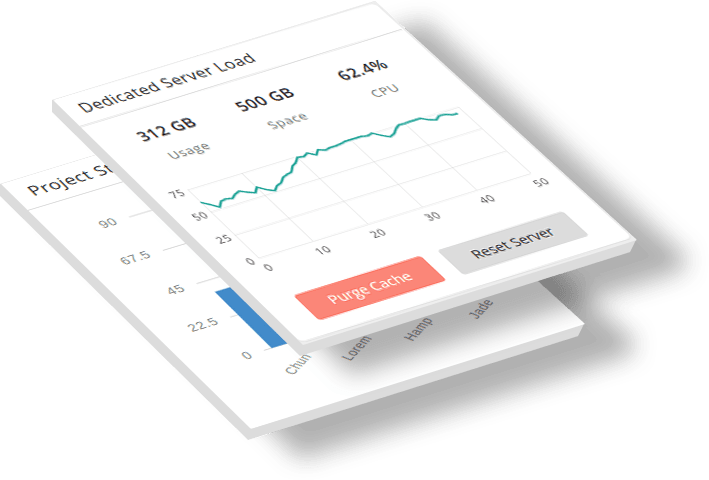 It includes Laravel blade files to speed up your laravel development with Core Plus. Spark skin provides good UI for your default Spark installation. With the fullcalendar module it is possible to drag, drop and resize your events in the calendar itself. Multiple colors are available with SASS customization. Fully Responsive and adjust to the size of screen, whether its mobile, tablet or desktop. It provides File Uploads, Google maps, Charts, Datatables, Galleries and different UI Elements. Interested To Buy This Theme? 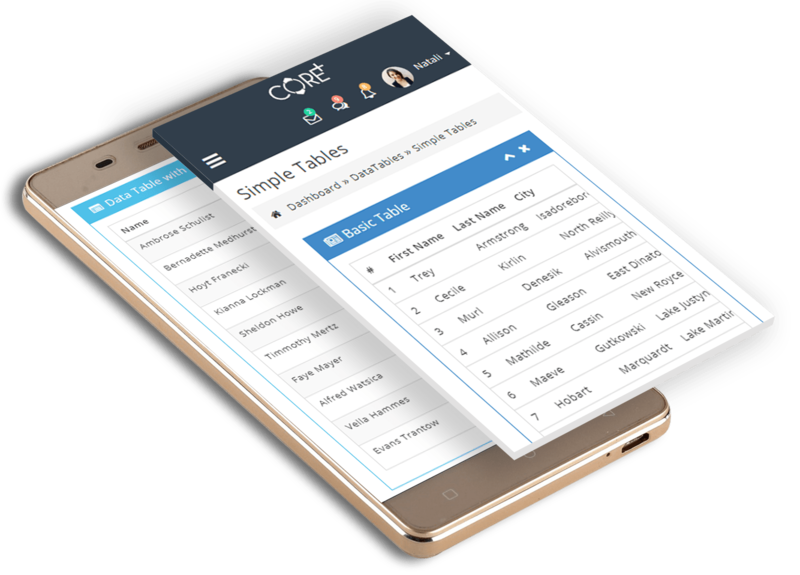 Core Plus Template has the elements like Data tables, Dashboard, Charts etc., which makes the template remarkable and awesome. There are two dashboards. They are V1 and V2. Dashboard V1 shows the information regarding daily visits and daily sales and total revenue for the product. It also gives the Project status and Browser interest. It gives map which shows the traffic from various countries. Dashboard V2 consists of Live views and Server Load, Recent Activities and Tasks. 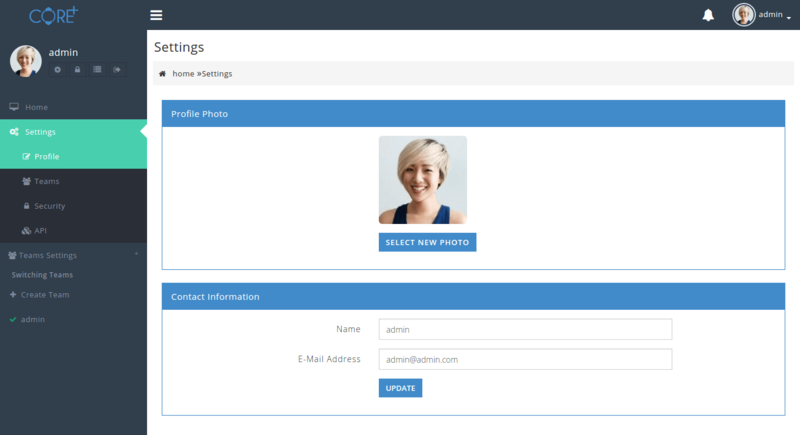 Datatables makes the data insertion and deletion of data easy by using a variety of datatables like Bordered Table and Responsive Table. There are number of charts like Line Charts, Bar Charts, Stacked Bar Charts, Real Time charts, and Pie Charts. All these charts makes the data analysis easy and user friendly. 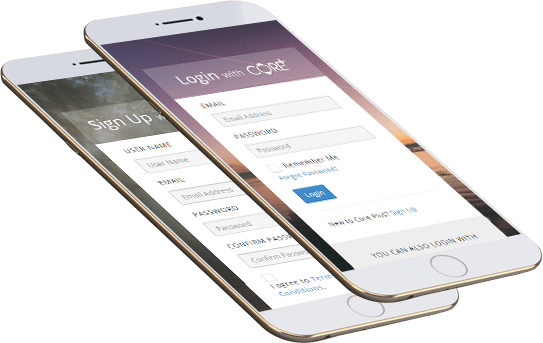 There are many pages in the template like Login page for getting logged into the site, Invoice page is for prinitng invoice, Register page for new customers. As it is responsive it can be used in Mobile, Tab and Desktop. You will be pleased to watch our screenshots. Interested ? Well, Here's it is available exclusively on Envato Market with good ranking.